Marriage in India is a sacrament based on religious and moral factors. Its aim is to get progeny and continuance of the family line. The 7th house is important in judging marital matters. The 7th lord, Karaka (significator) Venus as also the occupants of the 7th house, the planets associated with the 7th lord, the planets aspecting the 7th, the lord of the 7th from the Lagna and Moon, and appropriate Dasa period influencing the 7th house are also to be considered. If 7th house and its lord are strong, the marriage will be successful and happy. If 7th house or its lord is severely afflicted, marriage may be devoid of happiness. Conditions for Marriage The 2nd house indicates family. Marriage implies a new member is added to the family. This addition is an agreement and agreements come under the 7th house. Such an additional member is deemed to bring happiness to the family and is denoted by the 7th house. Hence in deciding marriage the 2nd, 7th and 11th houses are to be examined. Marriage can take place if the following conditions are present : i. Moon and Venus in fruitful signs. ii. Venus and Jupiter in 2nd, 7th or 11th. iii. Jupiter with the Moon in the 1st, 5th, 10th or 11th. iv. Mercury in 7th and Venus with 7th lord. v.	Lord of 7th and Venus in the 2nd. vi. Benefics in the 2nd, 7th or 11th from the ascendant or the Moon. vii. Ascendant lord in the 11th and Venus in the ascendant. viii. Lords of the 2nd, 7th or 11th in favorable association. ix. The 2nd and 11th lord in mutual exchange. x. The ascendant lord and 7th lord strong and well placed. xi:	Venus in own or exalted sign and lord of 7th in beneficial houses. xii. Jupiter exalted in the 7th with benefics. xiii. Exchange between lord of 1st and 7th houses. xiv. Lord of 2nd and 7th in the 11th. xv. Ascendant lord in the 10th and 7th lord in the 11th Marriage Conferring Dasas The Dasas of the following planets can confer marriage: i.	Lord of the sign occupied by the 7th lord. ii. Lord of the sign occupied by the 7th lord in Navmansa. iii. Venus, the Karaka (Significator) and Moon can give marriage in their Dasas. iv. The 7th lord if associated with Venus. v.	The 2nd lord or the lord of the sign occupied by the 2nd lord in Navmans. vi. The 9th and 10th lords if the earlier periods fail. vii. The 7th lord or the planet in the 7th house. Timing The timing of marriage can be known by different methods given in classical works. The important factor is to look for the planetary condition which brings out the event. The chart is to be analysed to see whether (a) there is a delay in marriage and (b) the appropriate dasa and bhuktis operate at the time of marriage and (c) the transits of planets are conducive to marriage. (a) Marriage can take place during the Dasa of the (i) planet in the 7th, (ii) planet aspecting the 7th house and (iii) planet owning the 7th. 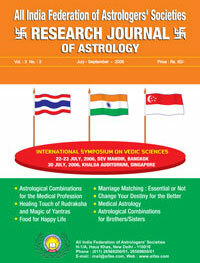 In Chart 1, marriage took place in Jupiter Dasa , Rahu Bhukti. Jupiter is the lord of the 7th. Transitory Jupiter was in the 7th from Navmansa Ascendant. Jupiter is the 2nd and 11th lord from the Moon. Chart 1 :Born July 17,1946 at 5h.20m. (IST) at 9N 55.78 E 07 with a balance of 3 years, 1 month 6 days of Mars Dasa at birth. (b) Marriage may take place during the Dasa of the planet joining the 7th lord or of the Karaka Venus. 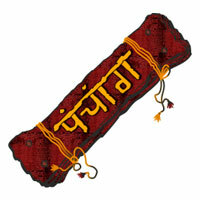 After determining the Dasa, the Bhukti can be determined by the planet in the 7th from the Dasa lord. Chart 2 : Born February 18.1944 at 3h. 45m. (IST) at 11N 56, 79E 50 with a balance of 6 years 11 months of Saturn Dasa at birth. In Chart 2, marriage took place during Ketu Dasa, Rahu Bhukti. Ketu is in association with the Karaka Venus and the 7th lord Mercury. Transitory Jupiter was on natal Moon aspecting the 7th therefrom and also the 2nd lord from the Ascendant. Transit of Jupiter Jupiter's transit on the Rasi or its trines obtained by adding the longitude of the lords of the Ascendant and the 7th house is favourable for marriage. The Rasi or its trines got by adding the Moon's longitude to that of the 7th lord when transited by Jupiter can also give marriage. Delaying Factors Saturn's aspect on the 7th house, the 7th lord from the Ascendant and Moon and Venus can delay marriage if the Dasa lord is not very strong. The aspect or association of the 6th, 8th or 12th lords on the 7th house, the 7th lord and Venus can also delay marriage. The natal positions and Dasas are to be first looked into and then only transits should be considered for timing of marriage. Late Marriage The following can delay the marriage unduly: i.	Kuja Dosha, that is when Mars is in the 2nd, 4th, 7th, 8th and 12th houses. ii. Moon and Saturn together In the 1st, 2nd or 11th. iii. Mars and Venus under malefic aspect. iv. Lord of 7th and Venus aspected by Saturn. v.	Malefics in the 7th under malefic aspect. Chart 3 : Born March 2, 1951 at 12h 33m (IST) at 10N 23, 78E 52 with a balance of 4 years 2 months 14 days of Ketu Dasa at birth. Since the 7th lord, 7th house and Karaka are afflicted, the marriage did not take place during Venus Dasa. lt came about in Moon Dasa, Moon Bhukti. The Moon is in the 7th Bhava. Transitory Jupiter was in Virgo aspecting the Karaka Venus and the 7th lord Mars when the event occurred in July 1981. This is a case of late marriage. Happy Marriage Four houses are important for marital happiness- 2nd or Kutumbasthana, 4th or Sukhasthana, 7th or Kalatrasthana and 12th or Sayanasthana. 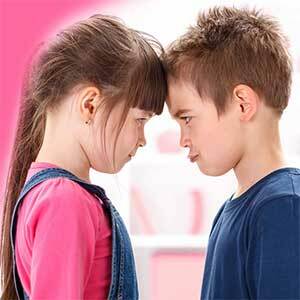 An adverse relationship between the 1st and the 7th lord such as the 6-8 or 2-12 from each other may create difficulties in married life. Married life is happy when: i)	The 7th house from the Ascendant or Moon is occupied or aspected by the 9th lord or sign dispositor or by benefics. ii)	The 2nd, 7th and 12th lords are in Kendras (1,4,7,10) or Trikonas (1,5,9) and aspected by Jupiter. 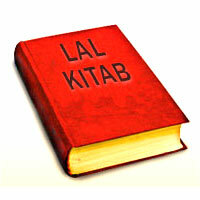 iii)	Benefics are in the 2nd, 7th or 11th from the 7th lord. iv)	The 7th house is a benefic sign or Venus as the 7th lord is aspected by a benefic planet. v)	A strong Venus is in a Kendra or Trikona or trine associated with or aspected by benefics. Chart 4: Born November 23, 1958 at 5H:00M IST at 10N 23, 78 E 52 with a balance of 10 months 08 Days of Mercury Dasa at birth. Venus, the Karaka for marriage is in the 2nd house in Chart 4. The lord of the 7th is in his own house aspected by Jupiter. Transitory Jupiter was in Virgo in the 7th from the Moon at the time of marriage, which took place in Venus Dasa, Saturn Bhukti. The 2nd and the 7th lord Mars is in Kendra which shows a happy life. Unhappy Marriage The following factors need to be considered to judge whether a marriage will be happy or not keeping in view the operating Dasa and Bhukti as well as transits: i)	Malefics in the 7th receiving bad aspect. ii)	Weakness of the 7th house. iii)	Weakness of Venus. iv)	Relationship between 1st and 7th houses and their lords. v)	Condition of the 2nd, 5th and 12th houses and their lords. vi)	Position of Mars. vii)	The 7th lord in the 6th or the 12th house. viii)	Retrograde Saturn for Leo and Cancer Ascendants is not conducive to a happy married life. ix)	Retrograde Jupiter in the 12th for Gemini or Virgo ascendant creates complications in married life. x)	Severely afflicted 7th lord without any benefic association or aspect results in unhappy married life. xi)	A malefic in the 7th or Saturn in the 7th delays marriage and makes married life dull and makes the spouse suffer illness. xii)	Retrograde Venus tends to spoil married life. xiii)	Saturn and Mars in the 7th without any benefic aspect makes marital life devoid of happiness. xiv)	When Mars is in the 7th afflicted by the Sun or the Moon or in conjunction with a malefic, marriage will not be happy. Factors Causing Denial of Marrage The following show denial of marriage : i)	Malefics on either side of the 7th house. ii)	Saturn in the 7th with malefics aspected by malefics. iii)	Ketu in the 7th. iv)	Malefics in the 1st, 7th and 12th v)	Lords of 6th, 8th or 12th in the 7th. vi)	Venus or Moon aspected by Mars and Saturn and 7th not aspected by Jupiter. vii)	Two malefics in the 7th or 12th house. viii)	Venus with Mars and Saturn. ix)	Lord of the 7th in the 12th. Chart 5 : Born September 6, 1956 at 5H: 44M at 10N 23, 78E 57 with a balance of 01 year 5 months 04 days of Sun Dasa at birth. The native of Chart 5 did not marry inspite of her good qualifications and income. She is now 49 years old. The 7th lord, 7th house and Karaka are afflicted. Malefics occupy the 1st, 7th and 12th. The ascendant, ascendant lord Sun, the 8th lord from ascendant Jupiter are afflicted by Saturn and Mars. From the Moon also, the 7th lord and 7th house are afflicted. The karaka too is afflicted. These have resulted in denial of marriage. Failed marriage Sun, Saturn, Rahu and lords of the signs occupied by these planets together with the lord of the 12th cause divorce. If these planets influence the 7th house and its lord there will be separation between husband and wife. In Chart 6, 7th lord Mercury is in the 6th Bhava with the Sun and Saturn. The 7th house is occupied by Mars and Rahu. The 7th lord, 7th house and Karaka are all afflicted leading to separation. Chart 6: Born September 2, 1978 at 19H: 45M with a balance of 17 years 18 days of Venus Dasa at birth. Place of birth : 10N 23'- 78E57' Astrology can be gainfully employed for the benefit of mankind while judging factors for married life. Classical works do not recognize divorce but by an analysis of different astrological factors related to marriage, factors showing divorce can be identified. The prime reason for divorce is unhappy marriage indicated by an afflicted 7th house or 7th lord or karaka Venus. The 8th house rules the longevity of a marriage. Affliction of the 8th house from the Ascendant or the Moon and a combination of adverse Dasa and Gochara result in termination of married life. For a happy married life Venus should not only be free from affliction but also should occupy benefic houses.